The JTP brand is targeted at a younger, dynamic and aspirational set of buyers and will appeal to those people who are looking for more performance, sporty looks and improved driving dynamics. 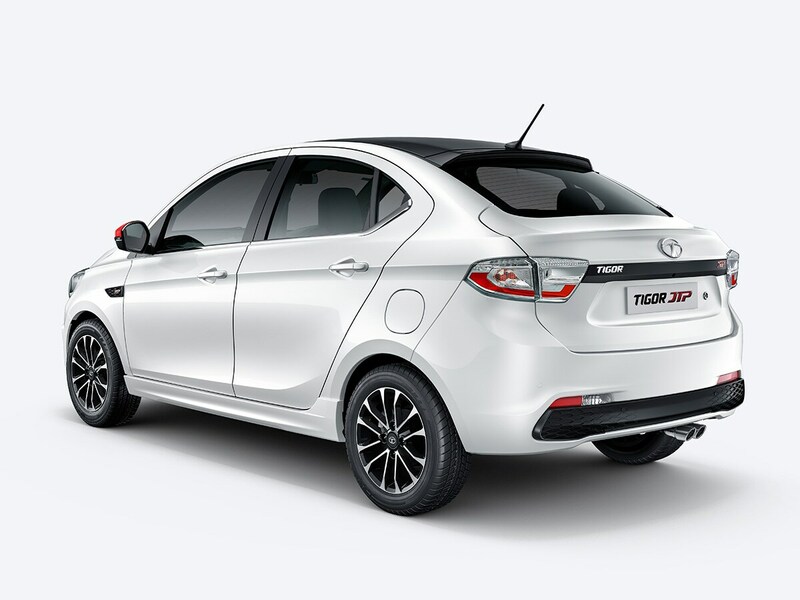 The Tigor JTP sports a bold design elements on the exterior including an aggressive front bumper with large trapezoidal lower grille, dual chamber projector headlamps with chrome rings, sporty side skirts, contrast coloured outside mirrors, dual tone exterior with glossy black roof and rear spoiler. The car rides on 15-inch diamond cut dual tone wider alloy wheels. 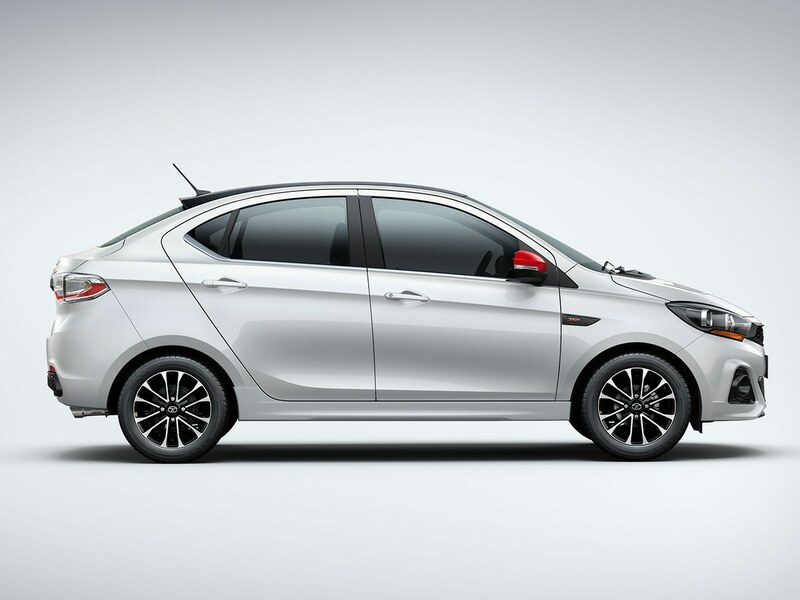 The suspension on the Tata Tigor JTP has been tuned for better ride control with the height lowered as well. On the safety front, both the Tiago JTP and the Tigor JTP come equipped with dual airbags, ABS with EBD and corner stability control. 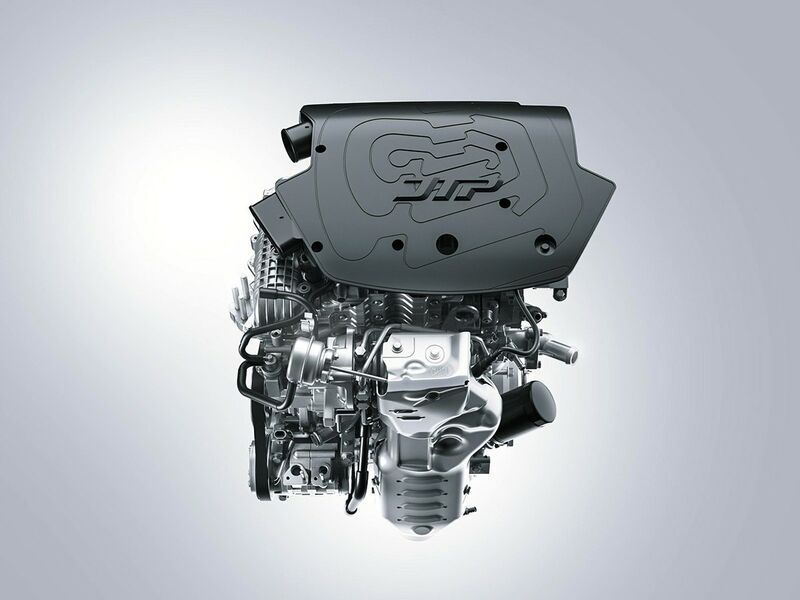 The Tata Tigor JTP is powered by the 1.2-litre turbocharged Revotron petrol engine which delivers 112 bhp and 150 Nm of peak torque. Tata Motors says that the JTP versions of both the cars can go from 0-100km/h in 10 seconds. The cabin gets a bit of the sporty element too. The cabin sees all black interiors with sporty red accents on AC vents, premium leather wrapped steering with contrast red stitching. 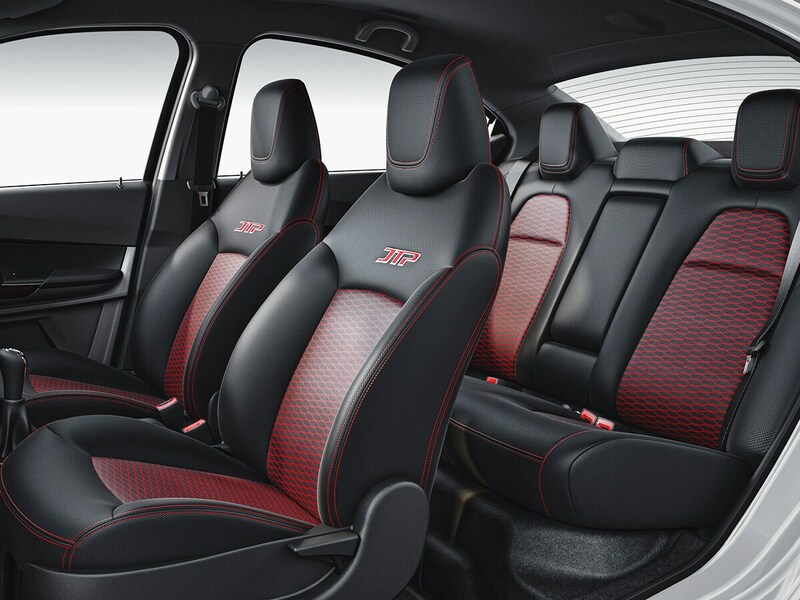 The seat fabric too comes with red hexagonal motif and red double stitching on the seats and gearshift gaiter act as unique differentiators for the cars. The performance oriented versions also get aluminum pedal extensions. 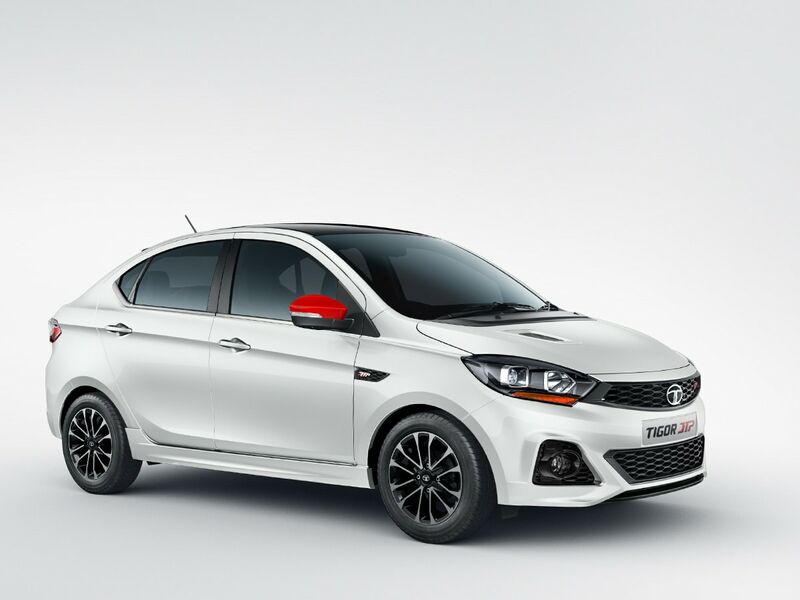 Both the cars come mated to a 5-speed manual transmission with optimized gear ratios for superior acceleration and extraordinary performance and are also equipped with multi drive modes - Sport and City.